The Planning & Zoning Department ensures that land use decisions are based on sound growth management principles that are consistent with the Comprehensive Plan and implemented by the effective application of the Zoning, Subdivision, and Flood Damage Prevention Ordinances. 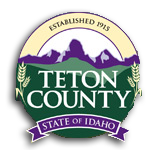 Teton County, Idaho is soliciting proposals from planning firms/teams regarding revision of Teton County’s Land Development Code (LDC). The code directs all aspects of land use in Teton County, including subdivision and zoning regulations. The process will include an audit of current LDC in relation to the County’s Comprehensive Plan to identify what revisions are necessary for implementation of the comprehensive plan; development of a draft revised LDC, public participation process, and adoption of the final LDC by the Teton County Board of County Commissioners. Teton County, Idaho is located on the eastern border of Idaho, on the western slope of the Teton Mountain Range. While Teton County is one of the smaller counties in Idaho geographically, it is one of the most scenic and fastest growing. The Teton Valley is home to lush pastures and farms, as well as the foothills leading to picturesque mountains. Teton County enjoys a rural, agricultural heritage, world class views, outdoor recreation opportunities, and outdoors lifestyles, that appeal to a growing and diverse population. Growth in Teton County can be attributed to a location and lifestyle that is attractive for second homes, retirees, outdoor enthusiasts, and the agricultural industry, in addition to serving somewhat as a bedroom community to the nearby Jackson Hole, Wyoming area. Teton County’s land development code was developed in the early 1990s, with subsequent amendments since that time. A new Comprehensive Plan was adopted in 2012. The LDC has not been brought into alignment with the goals and objectives of the 2012 Compressive Plan. The purpose of this project is to bring the land development code into alignment with the goals and objectives of the 2012 Comprehensive Plan. Respondents may submit questions and/or request clarifications from Teton County Planning Department, no later than 5:00 PM Mountain Daylight Time, Wednesday, April 24, 2019. Questions regarding the subject matter of the RFP should be directed to garmstrong@co.teton.id.us . All questions, as well as responses, will be answered to all potential applicants no later than Wednesday, May 1, 2019. Detailed submission guidelines and requirements are outlined in the RFP, available as of Wednesday, April 10, 2019. In addition to electronic request, printed copies are also available at the Teton County Planning Office, located at 150 Courthouse Drive, Room 107, Driggs, Idaho. Office hours are from 9:00 AM to 5:00 PM. The submission deadline for potential applicants is Wednesday, May 8, 2019, at 5:00 PM Mountain Daylight Time. Electronic submissions will be accepted in pdf format. Printed submissions must include 5 printed copies, either comb or spiral bound, and one electronic copy on a USB flash drive, and must be delivered to the Teton County Planning Office no later than Wednesday, May 8, 2019, at 5:00 PM MDT.